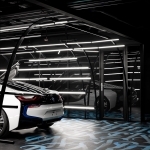 The concept of the interior is a transformation and refraction of simple geometry of space by the shape of the pattern. 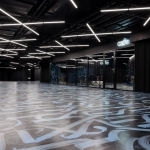 The idea is performed by the combination of the dark graphite color, bright calligraphy composition, and light installations. 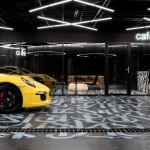 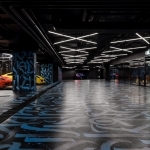 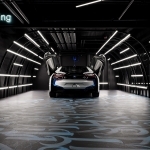 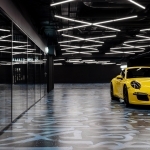 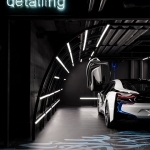 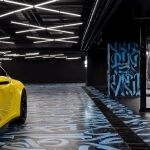 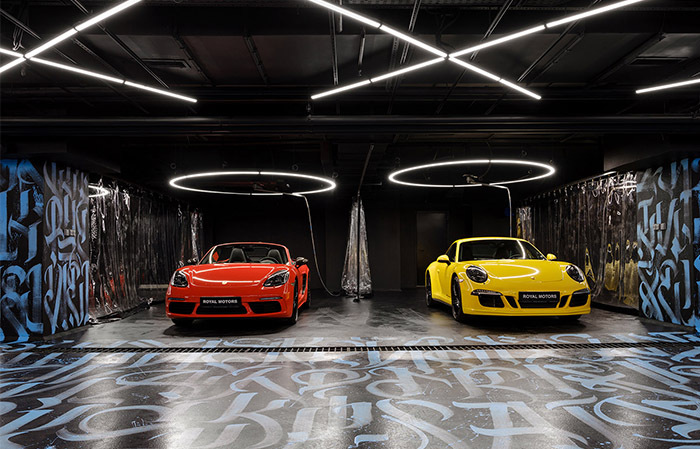 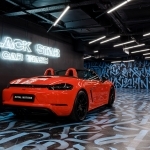 Taking into account the facility function CARWASH and inspired by WYNWOOD in Miami, GRETAPROJECT created a special calligraphy pattern that consists of regularly repeated client’s label name BLACK STAR. 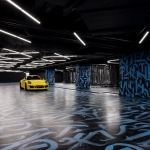 Graphic and at the same time geometric pattern creates a memorable setting and expands enclosed space visually. 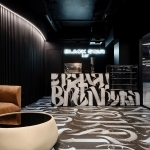 In this project, the designers wanted to show how the usual forms of space transform by applying flat geometry and how the color influences the perception of the space.